A musical account of an ATG trip! 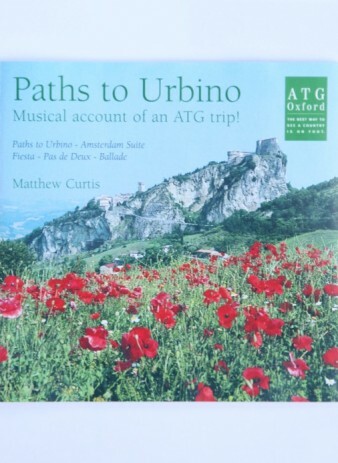 ‘Paths to Urbino owes its name to a walking tour in which I participated…. At the time I was inspired more by the idea of writing a musical account of the trip than with any specific thematic material’. The result was a Symphonic Suite. Matthew Curtis was born in Cumbria in 1959, studied piano, organ and musical theory, and began composing at the age of 15. It was whilst he was studying at Worcester College, Oxford that his work, including a symphony, first received public performance. His output ranges from short orchestral pieces in the British light music tradition, to more substantial works for orchestra, chamber music, songs and choral works. The CD price includes postage and packaging. All proceeds go to the ATG Trust .